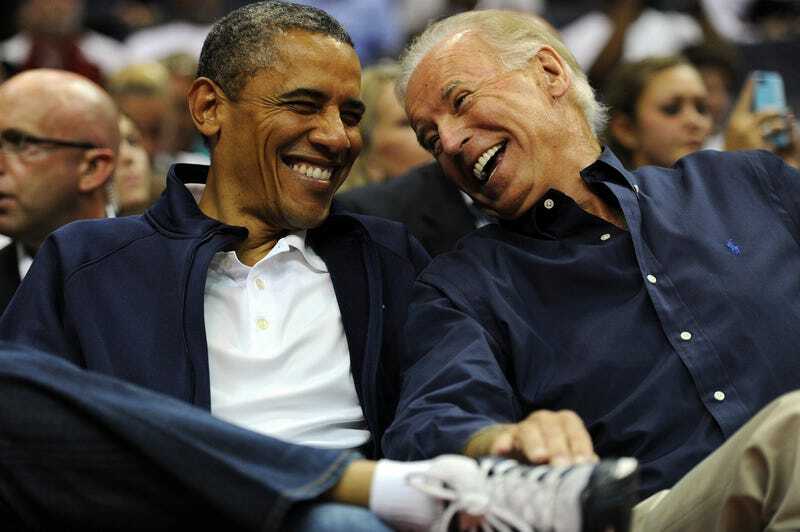 On Monday, an odd couple were spotted putting the band back together as former president of America, and lifelong president to Wakanda (where there are no term limits), Barack Obama, and his vice president and best friend (according to him), Joe Biden stopped to get lunch. The two men, who have been the subject of some really good bromance memes (thank you, internets), got lunch at Dog Tag Bakery in Washington, D.C. The two reminded customers what it was like to have a standup pair running the country while they shook hands and took photos. The bakery also shouted out the famous duo on Twitter for stopping in. Let’s take a look back at a bromance that we all deserve and remember a time when the country was harmonious and righteous, and the only scandal was Obama wearing a tan suit.